Democratic challenger to Iowa Rep. Steve King abandons race due to death threats. 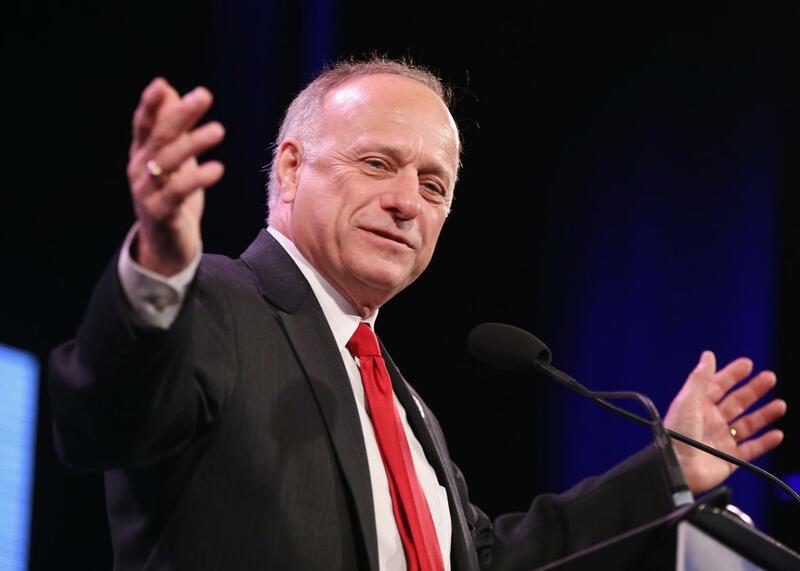 Rep. Steve King speaks to guests at the Iowa Freedom Summit on Jan. 24, 2015, in Des Moines, Iowa. In an interview with the Des Moines Register, Weaver also justified her decision by saying that the state office she works for had suffered budget cuts as “punishment” for her candidacy. She told the paper the intimidating phone calls and messages increased after the paper published a story about her efforts to build a career as an internet psychic. King, a notoriously anti-immigrant lawmaker who is not shy about making racist statements, has been in the House for 14 years. In the previous election, Weaver lost to King in 38 of the 39 counties in Iowa’s 4th Congressional District. King responded to news of Weaver dropping out of the race by accusing her of making up the death threats. “Death threats likely didn’t happen but a fabrication,” King wrote on Twitter.